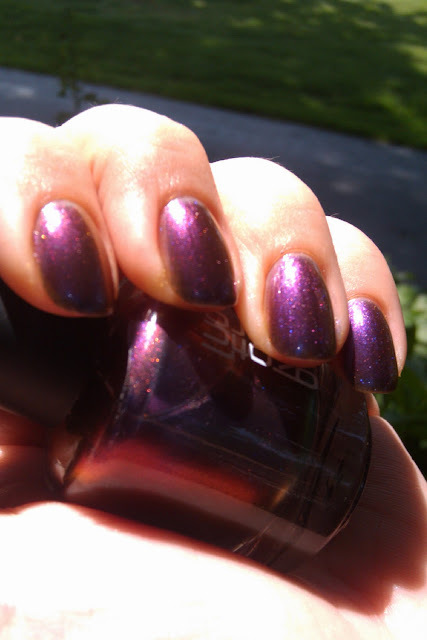 No matter how many pictures I took of this polish, I could not capture its beauty. 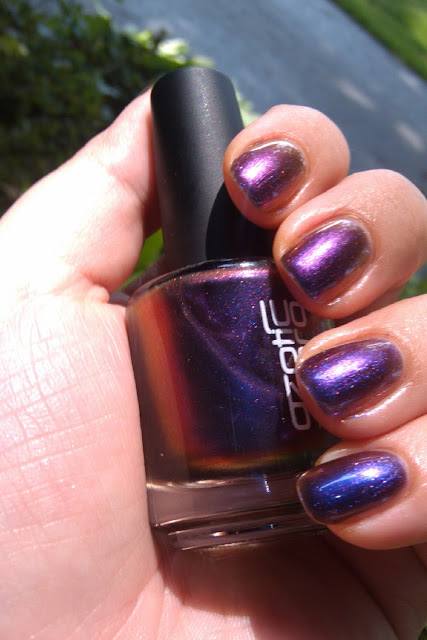 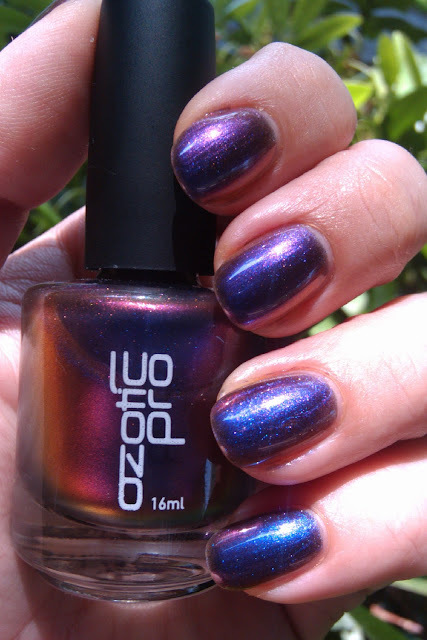 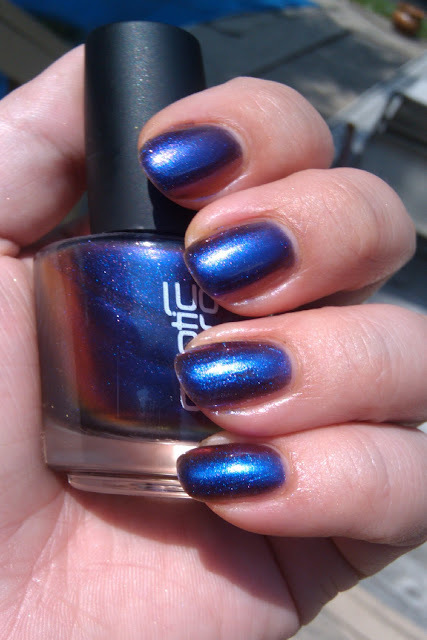 This one was super blurry, but captures the duochrome! 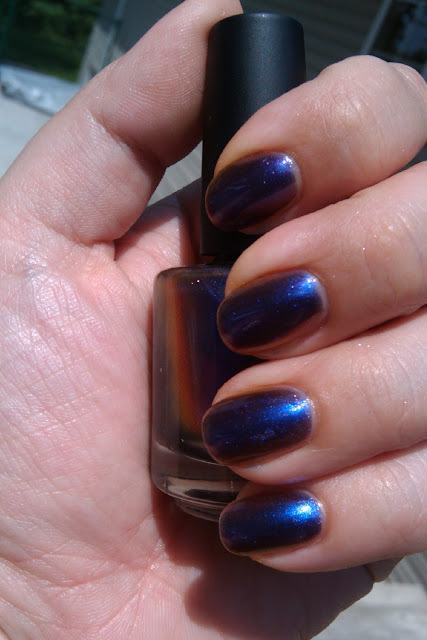 Can you believe all those pictures were of the same polish? 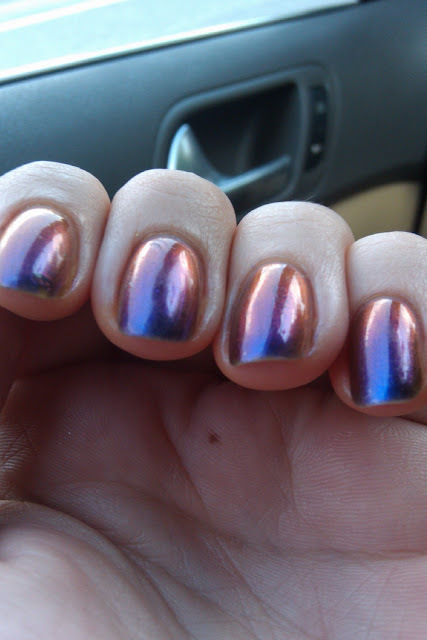 I used 4 coats here as I wanted to really test it out. 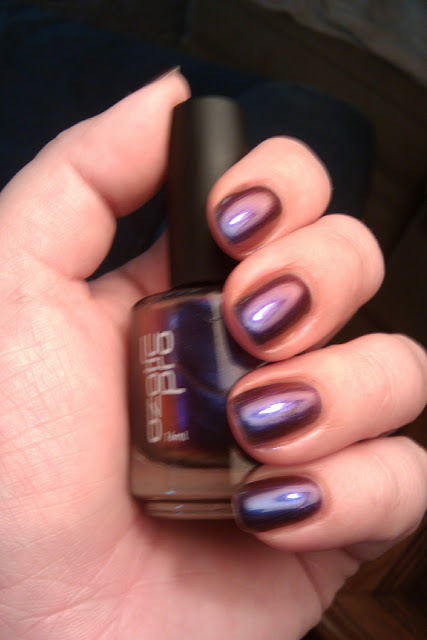 I also did one coat over black on my right hand but didn't take any pictures for some reason. 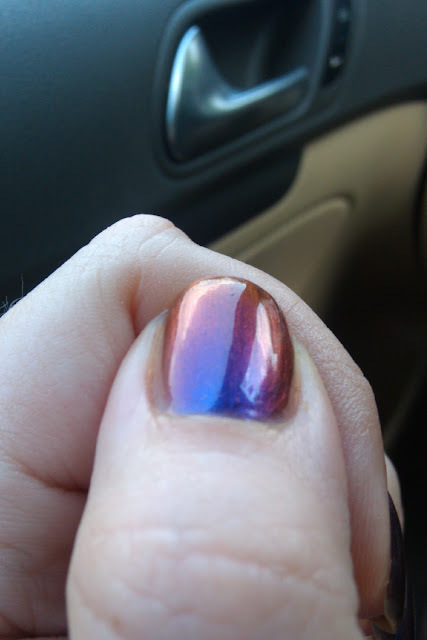 It is definitely gorgeous either way!